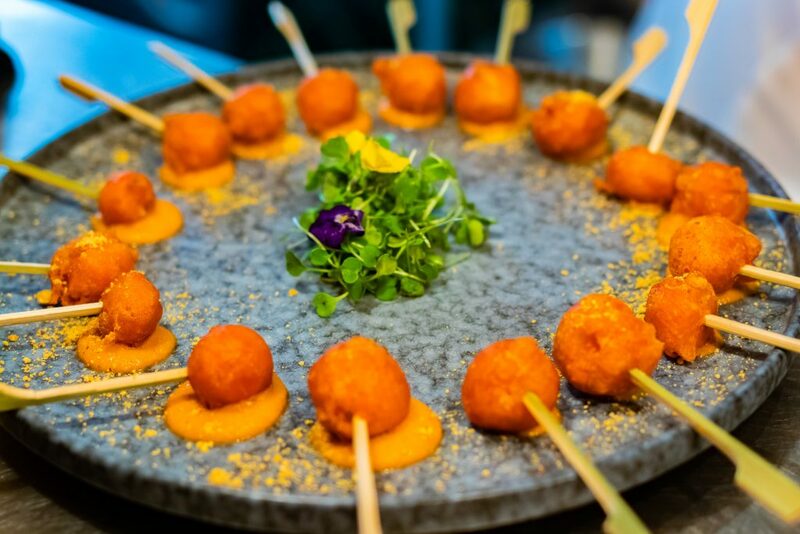 Farzi Café is bringing a modern approach to Indian Cuisine and their launch party was one not to be missed. The Founder Zorowar Kalra who is renowned as ‘The Prince of Indian Cuisine’ has devised a menu that will change your palate. 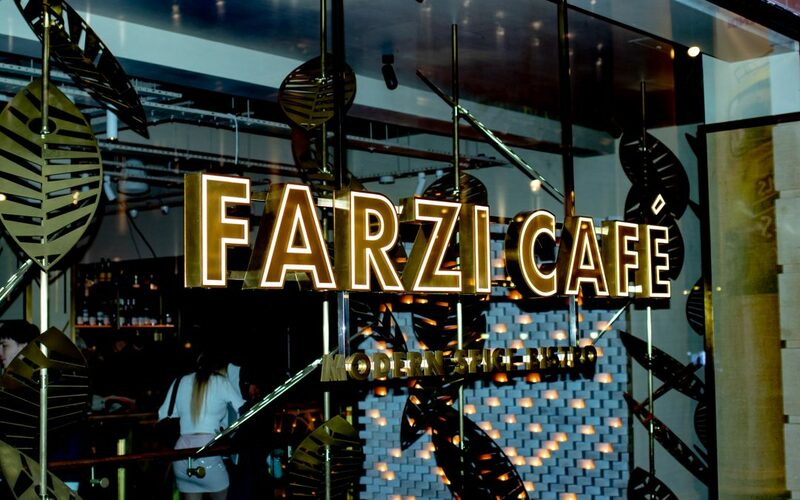 The Farzi Café Launch party was a celebration of amazing cuisine and celebrity guests. 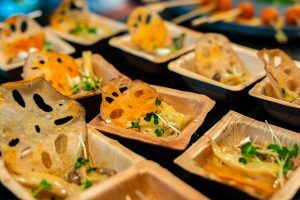 With a mission to bring Indian cuisine back ‘in-vogue’ the launch night definitely had a luxurious feel. The word Farzi is Urdu and has many different meanings. In reference to the restaurant it means “creating an illusion” with its cuisine. 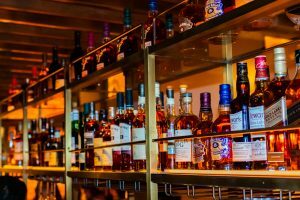 As we arrived on Thursday this was all we knew about the Farzi café and it delivered on all its promises. Upon arrival there was paparazzi outside snapping the celebrities and models that were attending the event. It was like a meet and greet for London’s elite. The décor was luxurious with hints of Gold everywhere. It was fit for royalty and the restaurant booths all had gold backdrops. It creates the perfect look in every photo. We spent a while in one booth getting that perfect photo but it was worth it. The booths are the perfect setting for those ever needed photo memories. Nicola Roberts was djing on the night wearing a fashionable Navy Velvet Dress by Lacoste. There were several other VIP’s in attendance, from Jori White (Jori White PR), Ashley James (Made In Chelsea) and Montana Brown (Love Island). Ashley James wore a bold purple blazer set from Topshop,that every girl needs to add to her wardrobe. We lost count of the list of celebrity guests in attendance, we were distracted by the food being served. There was free flowing champagne and no point where your glass was empty. With the urge to get the best pictures of the food they were serving, we headed towards the kitchen area. 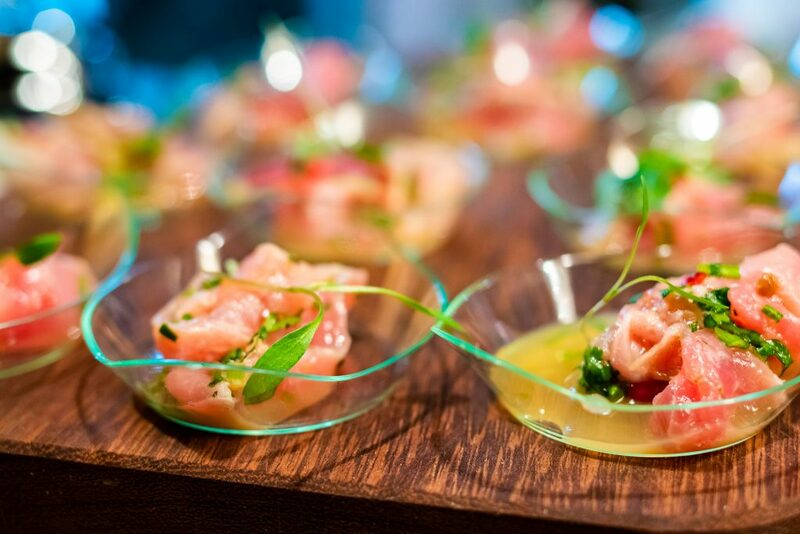 The chefs were hard at work and every dish that came out was presented beautifully. It was a gourmet journey through so many exquisite gastronomic flavours. 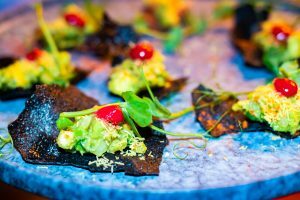 From the most beautiful Tuna Ceviche to Pan tossed Shrooms, each dish managed to make it about 1 metre from the kitchen before the guests had devoured the serving trays. The atmosphere in the air was electric as each guest ate and drank and networked. Interviews were being conducted on some of the VIP’s in the room and the music had everyone in a party mood. Upon going downstairs to find the toilets I realised there was a whole bar area that I had neglected. The dance floor was packed with socialites and guests having a great time. After seeing a few other magazine owners including Vicky Ilankovan, the owner of Sated magazine it was time to leave. I said my goodbyes but not before grabbing a dessert for the road. It was a chocolate dessert that looked like a cake pop but it was filled with creamy chocolate and I think I may have stayed a little longer just to eat a few more. Everyone loves chocolate when it feels like its melting in your mouth. I was no exception on that night. 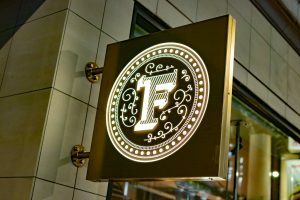 All in all the Farzi Café is set to be one of London’s trendiest restaurants and now open to the everyone. Located at 8 Haymaket, the a la carte menu is one you need to taste. I will be going back to taste some other cuisine from the menu after the taster at the launch. The illusion was created and the cuisine definitely took us on a gastronomical Indian journey.